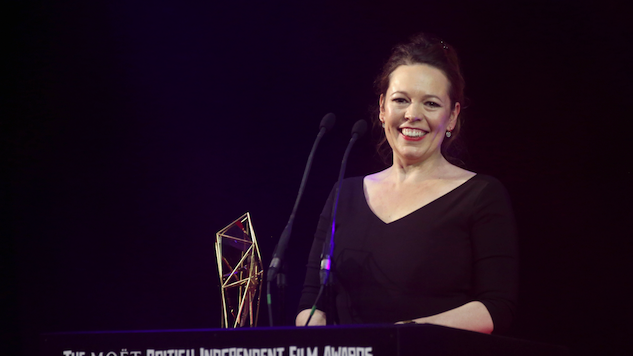 Could Olivia Colman Be the Next Doctor on Doctor Who? A week ago, it was announced that the beloved Peter Capaldi would be leaving his post as the Doctor on the long-running hit show Doctor Who. As per tradition, the departure of one Doctor means the welcoming of another, and the bets are on for who will be lucky number 13. We reported on the rumors flying around that the next Doctor might be either Ben Whishaw (Skyfall, Cloud Atlas), Rory Kinnear (Penny Dreadful) or Richard Ayoade (The IT Crowd). Now, there’s a formidable new contender—Golden Globe winner Olivia Colman. Colman recently won a Golden Globe for her performance in The Night Manager, and has starred in hit shows and movies including Accused, Peep Show and The Lobster. Colman also made Paste’s list for the top three women-led detective shows for her Broadchurch character, DS Ellie Miller. Anyone who has seen Colman perform is aware of her incredible talent and dedication. We would be lucky to have her as the next Doctor, and we can only hope that Tennant’s endorsement helps to push her to the top of the list. Listen to Tennant’s comments via World at One here.